1. 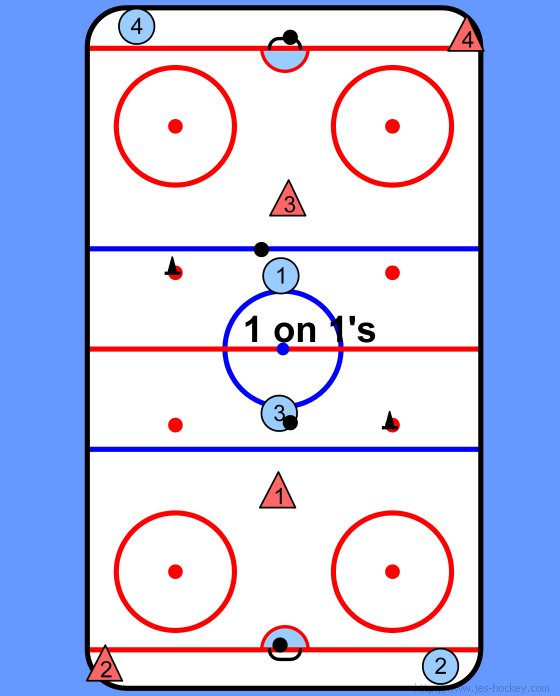 On whistle, F's (P3 and P1) skate around the circle and take a shot on net and proceed to the pylon on their half. 2. 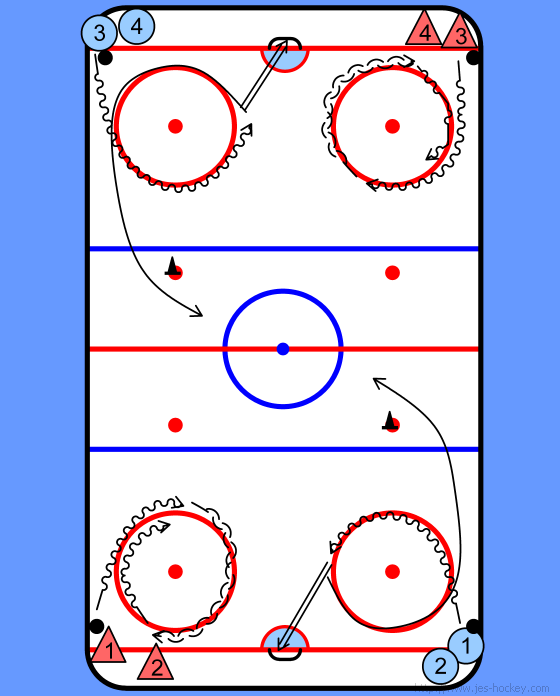 D's skate around their circle pivoting at the top and bottom always facing up ice. 3. D makes a stretch pass and gaps up with F from the other end. 4. 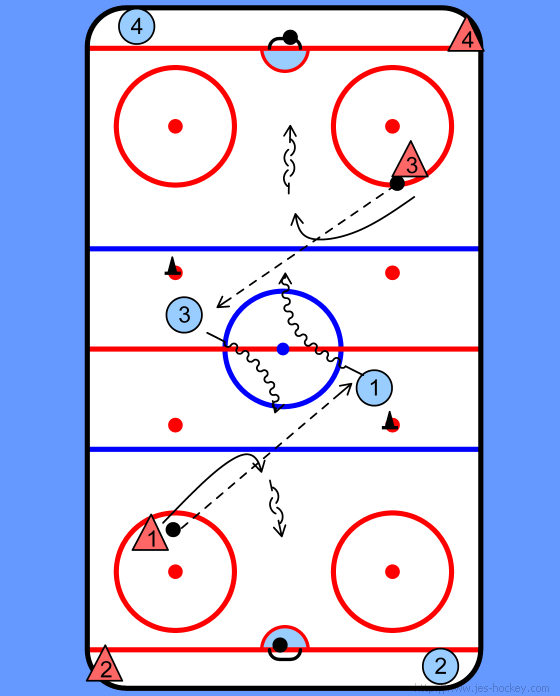 F receive pass and go in against far end D.